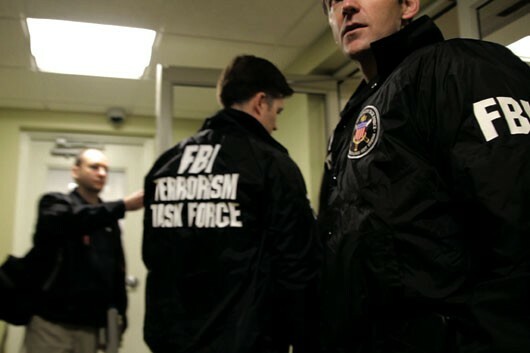 (T)ERROR is the first documentary to place filmmakers on the ground during an active FBI counterterrorism sting operation. An informant for more than two decades, Saeed “Shariff” Torres, takes on a job for the FBI and invites filmmakers to follow his covert efforts to befriend a suspected jihadist – without informing his superiors. Through the perspective of 63 year-old Torres, viewers get a glimpse into the government’s counterterrorism tactics. As surprising revelations emerge – not only about Torres’ past, but also about the increasingly murky ethical grounds of his present mission – (T)ERROR explores how far the FBI goes to prevent terror and the liberties being sacrificing to get there. Lyric R. Cabral is a New York-based filmmaker and photojournalist who documents stories seldom seen in mainstream media. Cabral recently completed (T)ERROR, her first feature length documentary, co-directed with David Felix Sutcliffe, which premiered at the 2015 Sundance Film Festival, where it won a Special Jury Prize for Break Out First Feature. Cabral, along with co-director Sutcliffe, was honored by the Tribeca Film Institute with the 2013 Creative Promise Award. David Felix Sutcliffe is an independent documentary filmmaker whose work explores issues of national security and civil liberties in the post-9/11 era. His 2011 film, Adama, was broadcast on PBS, and featured the story of a 16-year-old Muslim girl growing up in Harlem who was arrested by the FBI on suspicion of being a “potential suicide bomber.” His follow-up film, (T)ERROR, co-directed with acclaimed photojournalist Lyric R. Cabral, marks the first time that filmmakers have had access to an active FBI informant in a domestic counterterrorism investigation. "Great journalism and great filmmaking." "Thriller-style show of cat and mouse"